Every society must face the challenge of allocation of limited resources to address healthcare needs. Orthopedic surgery is a specialty with some of the highest expenditures, yet treatments rarely address life-threatening ailments, instead targeting quality of life. It is therefore vital to demonstrate the value of these interventions through economic healthcare studies. Clinicians must understand the goals and methods of economic healthcare studies, which differ fundamentally from other clinical research projects. Economic healthcare studies frequently concern themselves with efficient care decisions, as well as equitable distribution of valuable care. Understanding and interpreting these results will help with allocation of finite resources and drive rational decision-making on both clinical and policy levels. While economic healthcare studies provide valuable information, the costs and benefits of medical interventions are frequently difficult to define. Despite these challenges, clinical researchers should study the economics of orthopedic care in order to provide optimal patient outcomes. Trends in orthopaedics: an analysis of medicare claims, 2000–2010. 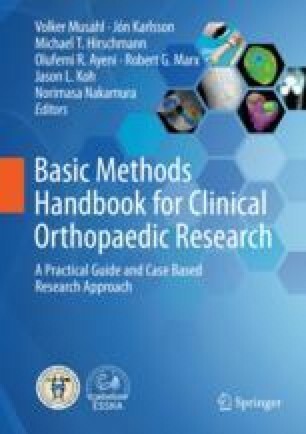 https://www.healio.com/orthopaedics/journals/ortho/2013-3-36-3/%7Bed4e1047-4f2f-46bc-9f01-65f36a2efd58%7D/trends-in-orthopaedics-an-analysis-of-medicare-claims-20002010. Accessed 13 Feb 2018. Recommendations from the second panel on cost-effectiveness in health and medicine | Guidelines | JAMA | The JAMA Network. https://jamanetwork.com/journals/jama/article-abstract/2552214?redirect=true. Accessed 15 Feb 2018.